This is a gorgeous hotel which allows you to experience the royalty and sophistication of the British era, while enjoying the hospitality of the Neemrana hotel group. 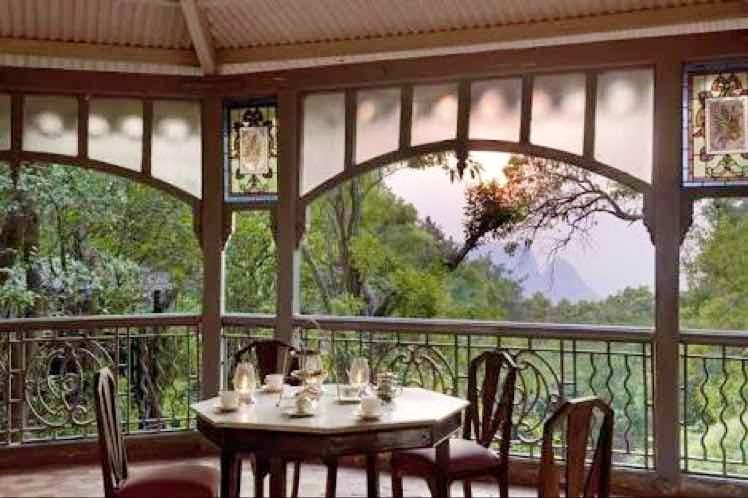 and it's as cheap as INR 5,000 a night. Set in the scenic western ghats, just two hours away from busy Mumbai, this is the only pedestrian hill resort in Asia. The lake is just walking distance from the resort, so take your picnic lunch boxes and for once take a chill pill "in style" in the Western Ghats.